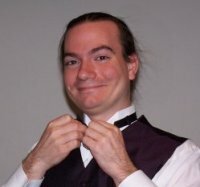 Bryan Lee Gregory is an author of fiction that blurs the lines between high fantasy, steampunk, and urban fantasy. His first book, Lord of the City, is available now as an Amazon Kindle eBook or as a trade paperback. Bryan can be contacted via email at bryan@bryanleegregory.com. Find out what he's up to at http://bryangregory.blogspot.com!